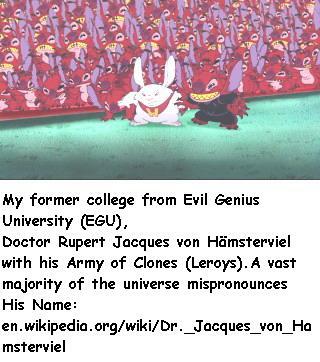 Doctor Rupert Jacques von Hämsterviel with his Army of Clones (Leroys). All times are GMT +4. The time now is 10:44.